Authorities in Sacramento County are cracking down on hash oil makers following a series of explosions and hospitalizations caused by the manufacturing process. The Sacramento County District Attorney’s office has prosecuted more than a dozen people for hash oil offenses this year, said Michael Neves, assistant chief deputy district attorney for the county. Hash oil, also known as wax or dabs, is a highly concentrated form of marijuana with potent THC levels and a long lasting kick. It’s become increasingly popular across the country, especially in states where recreational or medical weed is legal. The stuff is easy to make, but the process is dangerous. First, THC resin is separated from dried marijuana by spraying butane over it inside a small cylinder. Then, the butane is separated from the resin by suspending the oil in a container of near-boiling water. The butane is compressed inside the cylinder and may spill out into the open air. That creates a fire risk, especially if the oil is made indoors or near a building that could have an open flame. A new danger arises when the butane is boiled off and evaporates. Fires are often started by people making hash oil inside or near structures with motorized fans. Even a small spark or flame could lead to an explosion. Reports of people blowing their houses up while making hash oil are on the rise, and many states treat the substance more like a hard drug than marijuana. Hash oil explosions have caused deaths, severe injuries, and property damage across the country. Two people were hospitalized in Rancho Cordova in January after an explosion that left 140 others without a home. Since 2011, at least 68 people have been treated at The Shriners Hospitals for Children-Northern California for burns caused by butane oil explosions, said Dr. Davin Greenhalgh, chief of the burn unit. Greenlhalgh plans to publish a research paper later this year to raise awareness. Making hash oil is a felony in California, with harsh penalties that include up to seven years in prison and a $50,000 fine. Concentrates are treated differently than regular marijuana, especially if a chemical process is used to make them. Additional felony charges are added if an explosion results in death, destroys property, or endangers a child. 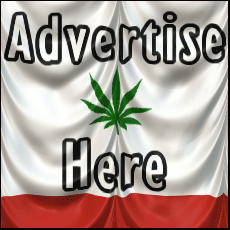 Previous Will California Regulate Medical Marijuana?